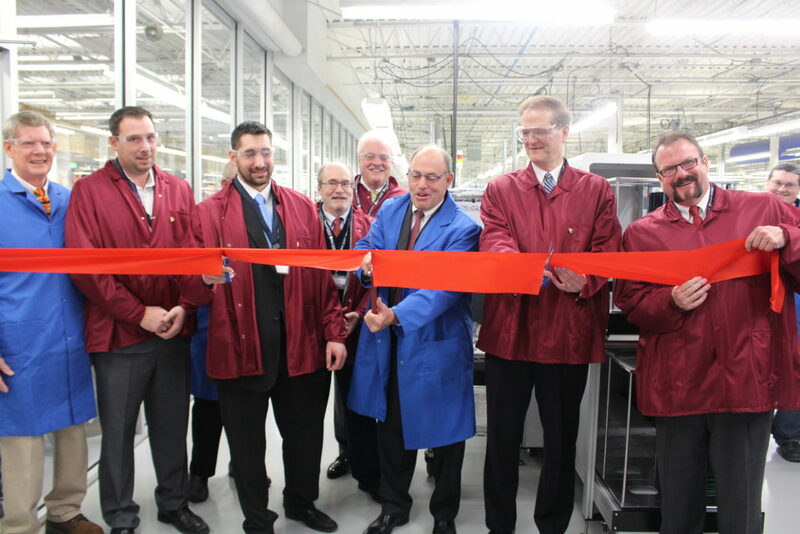 I was pleased to participate in a ribbon cutting at Matric Limited’s Seneca facility in Venango County. Matric is a contract manufacturer of electronic assemblies, offering world-class Electronic Manufacturing Services. 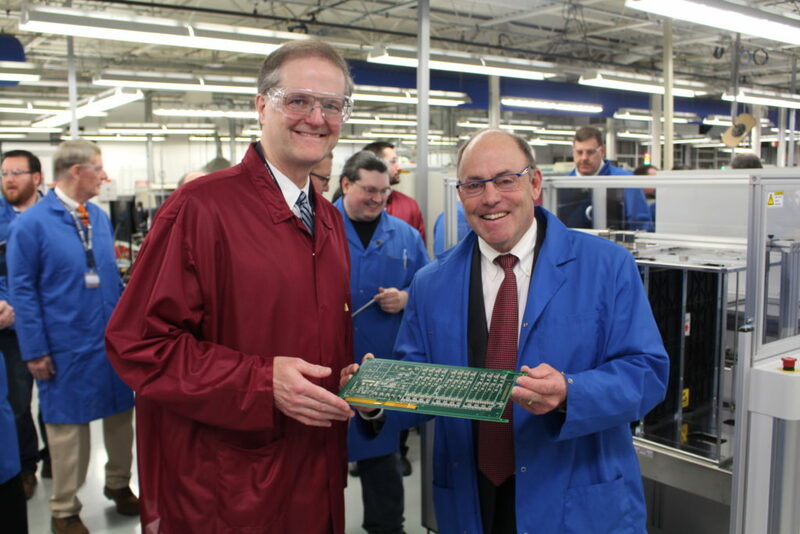 The company was recently awarded a low interest loan by the Pennsylvania Industrial Development Authority, a program specifically designed to help businesses make capital investments that will create well paid full time jobs. The Department of Conservation and Natural Resources (DCNR) is accepting applications for the latest round of grants for community conservation and recreational projects until April 11. Grants will be funded through a variety of sources, including the Keystone Recreation, Park and Conservation Fund, the Environmental Stewardship Fund, the Pennsylvania Recreational Trails Program and the Land and Water Conservation Fund. DCNR’s Bureau of Recreation and Conservation staff is available to assist in helping applicants develop and submit a competitive grant application. Detailed program information, access to the online grant application portal and more can be found at www.dcnr.pa.gov/Communities/Grants/Pages/default.aspx. Grant applications are available at www.grants.dcnr.state.pa.us. 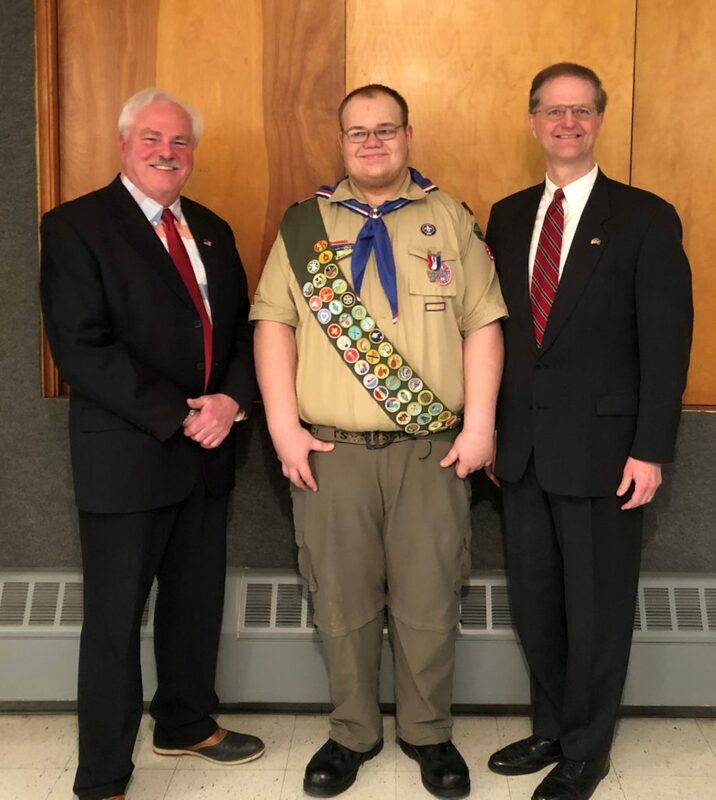 I recently had the pleasure of presenting a citation to Cameron Watson honoring his recent achievement of Eagle Scout. Cameron is a member of Troop 28 of Rocky Grove. For his Eagle Scout project, he constructed target stands for Izaak Walton League of Oil City. Congratulations Cameron on your outstanding achievement! Trout stocking schedules for 2018 are now available online at www.fishandboat.com and on the Pennsylvania Fish and Boat Commission “FishBoatPA” mobile app. To view the list, click on the link “Fish” in the upper right corner, then select Trout Stocking Schedules. From there, select a county and enter start and end dates from the calendars at the top of the page. Trout season opens March 31 in 18 counties, including: Adams, Berks, Bucks, Chester, Cumberland, Dauphin, Delaware, Franklin, Juniata, Lancaster, Lebanon, Lehigh, Montgomery, Northampton, Perry, Philadelphia, Schuylkill and York. Trout season opens statewide on April 14. The PFBC annually stocks approximately 3.15 million adult trout in 720 streams and 126 lakes open to public angling. These figures include approximately 2 million rainbow trout; 640,000 brown trout; and 500,000 brook trout. As with past practice, the average size of the trout produced for stocking is 11 inches in length. In addition to these fish, the PFBC plans to stock about 8,700 trophy golden rainbow trout that weigh an average of 1.5 pounds and measure at least 14 inches long. Also, PFBC cooperative nurseries run by sportsmen’s clubs across the state will add another 1 million trout to waters open to public angling. Young Pennsylvanians interested in pursuing environmental careers are invited to apply by April 15 for the Department of Conservation and Natural Resources’ summer residential camp. The free six-day camp begins Sunday, July 8, at Camp Kresge, White Haven, Luzerne County. The camp will introduce 20 students in grades 10-12 to conservation and environmental careers. From wildlife conservation projects and stream sampling of aquatic life, to forestry skills, daily activities will offer students a hands-on, team-building learning experience in an outdoor setting. Instruction and daily activities are overseen by specialists and officials from DCNR’s bureaus of State Parks and Forestry. After the camp, attendees will have a chance to seek internships, job-shadowing and other career-related opportunities through the camp’s mentor program. For more details and applications, visit http://www.dcnr.pa.gov/Education/ECOCamp/Pages/default.aspx.